Spacious 1 bd townhome. No stairs! Wheelchair accessible. Water & trash included! Free apps & tours. No pets. Month to month leases! Rent calculated from household's monthly gross income. 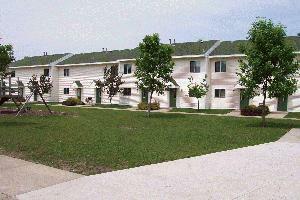 Need more info, visit this property on-line at www.lifestyleinc.net/northcourt.asp or call 507-451-8524, tdd 507-451-0704. Not ready to move, get on the list for future openings by completing an application now! Not what your looking for, call or check out our web site for more locations! This institution is an equal opportunity provider and employer.